Vazon Bay Apartments are situated on the west coast alongside Vazon Bay, which is one of the largest beaches on the beautiful island of Guernsey. 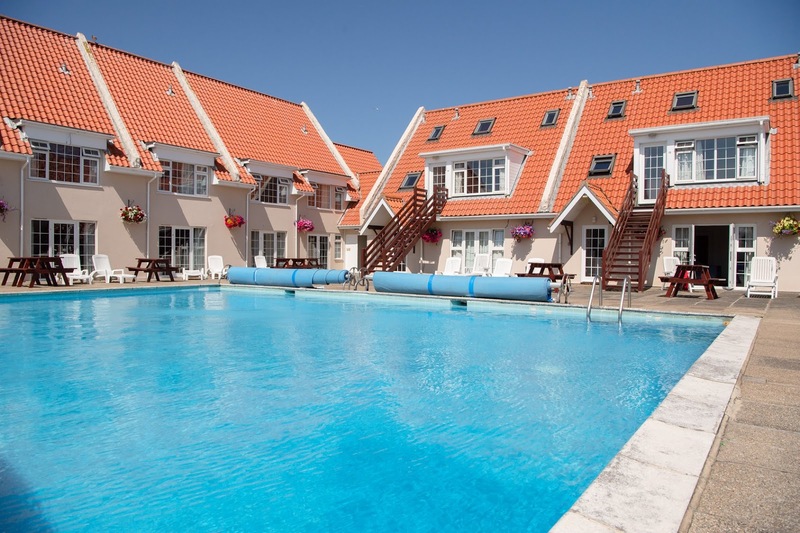 These family run, purpose built holiday apartments and bungalows provide quality accommodation for a memorable break. 2 x two bedroom bungalows. 3 x three bedroom bungalows. 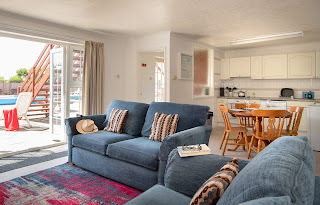 The standard and deluxe apartments are sited around the large, heated swimming pool, with separate toddler area. The self catering bungalows are to one side, with their own lawn and hot spa pool. Adjacent to the main pool is a small play area, sauna and a second hot spa pool. By the offices, in the summer season, the owner keeps rabbits, guinea pigs and chickens, much to the delight of children! Castel is a short drive to Vazon Bay, which is considered by many to be the best beach on Guernsey. The bay offers the best surf on the island and when the tide is right, the centre section of the beach swarms with enthusiasts. Happily, this still leaves plenty of room for the less daring to swim, belly board, rock pool, barbeque and sunbathe. The Fort Houmet headland is only a pleasant gentle walk of about 20 minutes, ideal for an after dinner stroll or morning jog. For those interested in history, a World War II bunker has been restored along with a shrine decorated entirely with shells. A brisk 15 minutes along the coast road brings you to Cobo, where you will find a pub, tea room & a variety of shops.